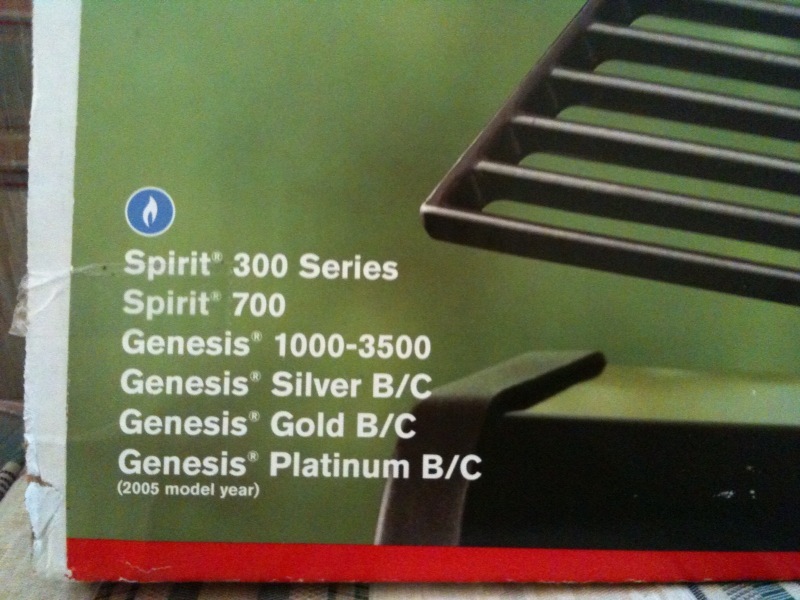 If you are shopping for Cast Iron cooking grates for your Weber Spirit E-320/S-320 grill and found that web sites such as Amazon.com and HomeDepot.com and find the documentation says the Cast Iron Cooking grates #7526 fit only the Genesis Silver B and C and Spirit E-310 gas grills, then this posting is for you. The Weber Porcelain-Enamel Cast Iron Cooking Grates #7526 fits Weber Spirit E-320/S-320 and E-310 grills as well as all other Spirit 300 and Spirit 700 series grills as noted on the product box. For some reason the information that all of these web sites are using specifically quotes the E-310 model, even though the product box says otherwise. If you’re like me and have an E-320 and were worried about ordering the wrong grates, the #7526 is the right part for your grill. 5 comments on "Weber Porcelain-Enamel Cast Iron Cooking Grates #7526 fits Spirit E-320 / S-320"
Wish they made those to fit my grill. 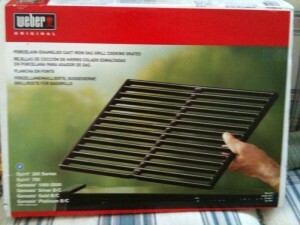 Had porcelain grills on my last smoker but sadly not on my new one which is not a weber by the way. Lol yes I melted a corner of my siding. Which is a lesson to anyone reading, even if the grill appears to be off it may still have heat radiating from the back of the grill lid! While the package states the grates are porcelain coated cast iron, they are just cast iron, a packaging error or misprint. ← Melanie got a Sandbox!